This month I have been exposed to an entirely different Prosecco then I commonly find on my grocery store shelf. 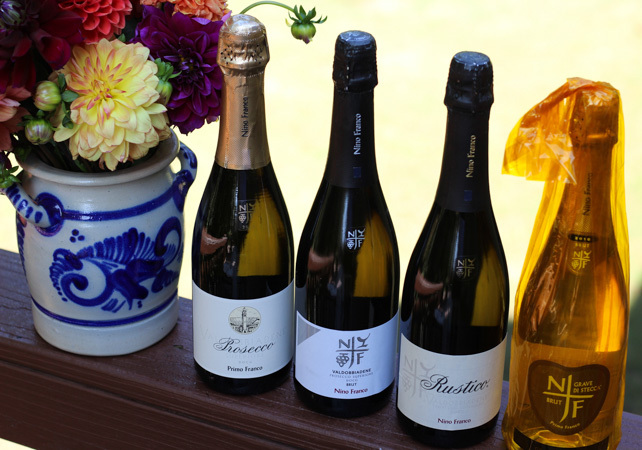 Winestudio introduced me to Nino Franco Prosecco and one thing, as they say, led to another. First, the difference between Champagne and Prosecco (check out my previous post here). Second, the difference between a DOC and DOCG Prosecco. And of course, what foods to pair with Prosecco. 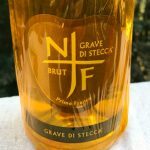 Finally, the Nino Franco Prosecco story that gives a more complete picture to what’s in the glass. So What Is DOC and DOCG? DOC is the European Union wine category designating a superior wine, the initials stand for Denominazione di Origine Controllata, the Italian version of the French Appellation Contrôlée System. 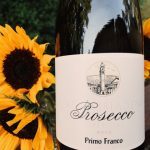 Prosecco DOC is made with grapes grown in Italy from a larger growing region throughout Friuli Venezia Giulia and Veneto except Verona and Rovigo (556 towns in nine provinces). Pale straw in color with persistent tiny bubbles. On the palate nice medium acidity with notes of apple, pear, minerals, and a soft, creamy mouthfeel. Pale straw in color with tiny bubbles. On the palate medium acidity with apple, pear, herbs and pronounced mineral and flint notes. Lingering and complex finish. 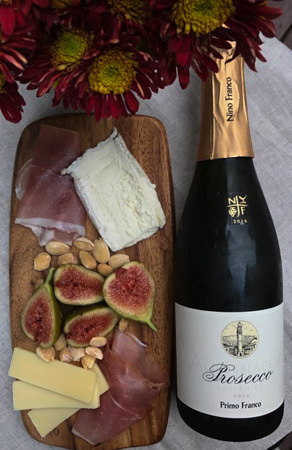 Prosecco DOCG is an ideal wine to pair with small savory plates. The DOCG has more body, acidity, depth of flavor and complexity than a DOC. 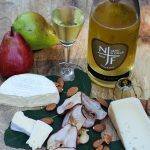 I paired the 2016 Primo Franco with a triple cream cheese, Gruyère, proscuitto, fresh figs, and Marcona almonds. The fresh acidity of the Prosecco was a nice contrast to the creamy richness of the triple cream cheese. The almonds brought out a toasted almond note in the Prosecco. Both the prosciutto and Gruyère complemented the Prosecco, leaving both the food and Prosecco enhanced. 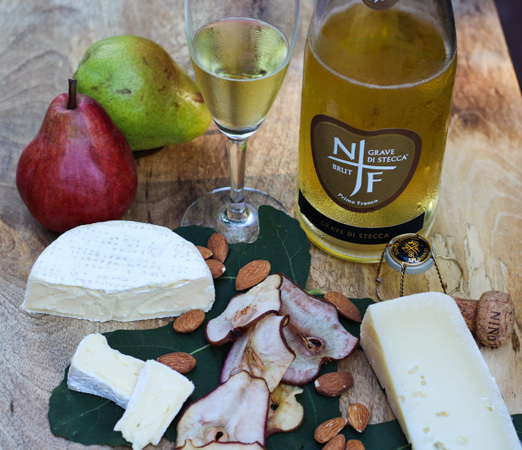 Only the fresh figs did not pair well, both the figs and Prosecco fell flat when paired together. My other small savory plate pairing was with the 2010 Grave di Stecca Brut. I tried a number of different soft-ripened bloomy rind cheeses, including different milks; cow, sheep, and goat. I wanted one of my two Italian cheeses, Robiola Bosina made with cow and sheep’s milk, or the Taleggio made with just cow’s milk to work. However, a rather local cheese from Sweet Grass Dairy in Thomasville, GA, “Green Hill”, a double cream soft-ripened cow’s milk cheese similar to a Camembert was the perfect match. Maybe the grass-fed cow’s milk complemented the complexity in the Prosecco. The creaminess of the cheese with the freshness of the Prosecco was definitely a winning combination. I added some slow roasted pear slices with the Green Hill, and the fruity notes from the Prosecco were highlighted to a savory blissfulness. Also on the plate were raw almonds and aged Asiago cheese, both were a pairing success. Preheat the oven to 250 degrees F. and line 2 baking sheets with parchment paper. Using a sharp knife, slice the pears lengthwise into very thin slices. Put the pear slices on the parchment lined baking sheets, without overlapping. Bake for 1 hour. Flip the pears and continue to bake for another hour. Let cool. Disclosure: The wine samples were provided as part of #winestudio, an educational program organized by Tina Morey. Join the #winestudio conversation Tuesday at 9pm EDT on Twitter.